French President Emmanuel Macron has pledged to remake France's economy and push through radical reforms of the European Union. Both tasks will be extremely difficult. Macron's domestic reform agenda got a major boost on Sunday, when voters threw their support behind his centrist political party in parliamentary elections. The decisive first round result puts Macron on a path to secure a majority in parliament, the size of which will be confirmed in a final round of voting next Sunday. "This is a special moment for France and a real opportunity to get out of the economic paralysis that its giant welfare state has created," said Peter Boockvar, managing director at the Lindsey Group. Yet there are reasons for caution: Voter turnout was very low, suggesting that many French citizens remain skeptical about his agenda. There are doubters in Europe, too, where Macron's vision for EU reforms clash sharply with one of France's strongest allies: Germany. 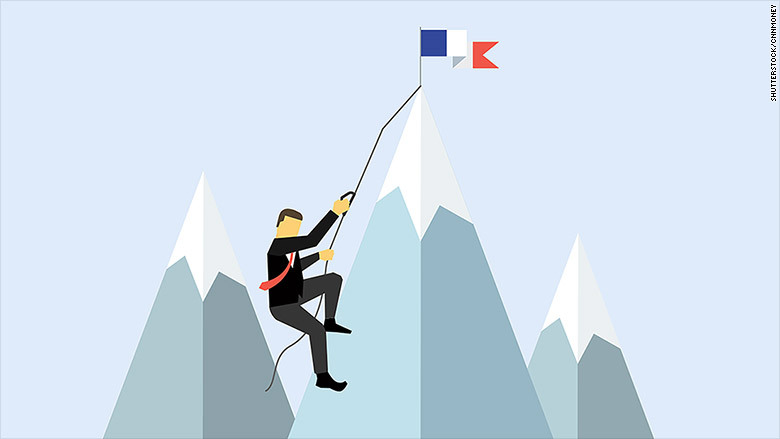 The French economy has suffered through years of anemic growth, high unemployment and budget deficits. Macron's plans could break the spell. He has promised to relax the country's rigid labor laws, cut corporate tax and bring down budget deficit by trimming France's huge public sector. Capital Economics said the reforms could add between 1 and 1.5 percentage points to GDP growth over the course of his presidency. Unemployment in France is running at 10%, and the country's strict employee protection rules are partly to blame. Companies are forced to consider carefully whether to hire new people because they are worried about the high cost of letting them go in the future. Jennifer McKeown, chief European economist at Capital Economics, said that making it easier for companies to hire and negotiate with workers could also "help to erode some of the slack in the labor market." Economists have urged French leaders to soften the rules for years, and Macron might find it very difficult to win over the French public. His promise to make France's 35-hour work week more flexible could prove particularly tricky. "Like many presidents before him, he is likely to face strikes and protests against planned increases in working hours and flexibility regarding pay which may force him to water his reforms down," McKeown said. There's another elephant in the room: Macron has promised to cut up to 120,000 government jobs by not filling positions as workers retire. He has also made a big public commitment to cut the budget deficit, by making the government more efficient while cutting corporate and housing taxes. Macron has been portrayed as a friend of the European Union, and his election victory in May was celebrated as a sign that the euro had been saved from the threat of rising populism. But Macron wants to drastically change how the EU operates. The newcomer to elected office wants the eurozone to have a common budget, parliament and government. 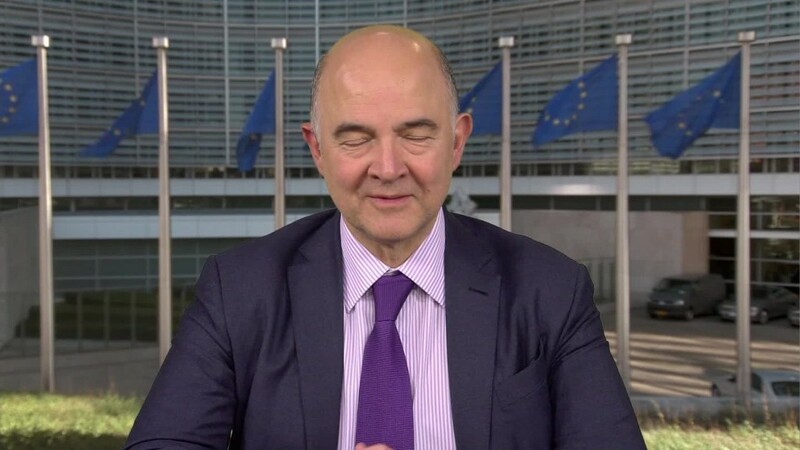 He also wants the ECB to issue common European debt which would be used for investment. He will have an extremely hard time selling these ideas to Germany. The German government, led by Chancellor Angela Merkel, has opposed moves to draw the eurozone countries even closer together. Instead, Berlin has always pushed for economic reforms and spending discipline by governments across the currency bloc. "Germany is not likely to step away from their role as the guardians of the eurozone rules," said Susi Dennison, director of European Power program at the European Council on Foreign Relations. Dennison added, however, that Merkel and Macron both understand that cooperation is crucial for the future of the EU. And that could lead to compromise. "The message you hear from Berlin is that they want to be accommodating to Macron, so perhaps we will see some flexibility on the common budget idea," Dennison said, adding that there is likely to be closer cooperation on security and defense.